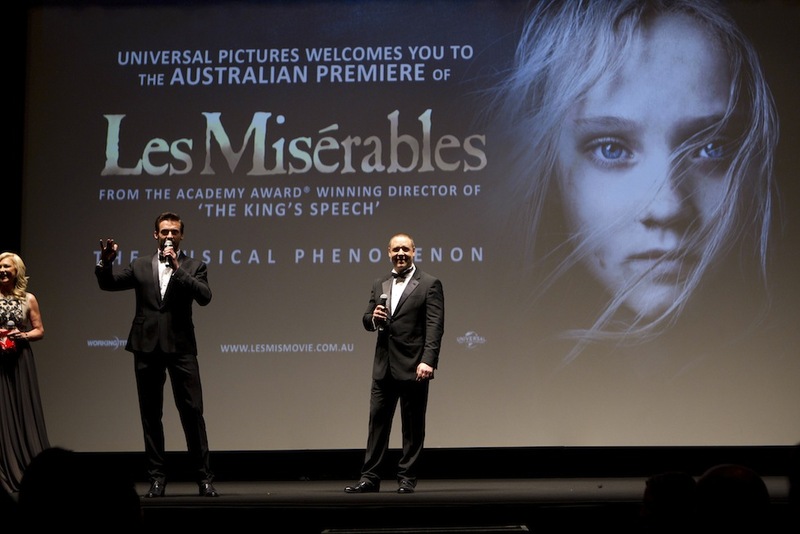 Congratulations on such an epic film! Emotionally or physically draining, which way would you go first? 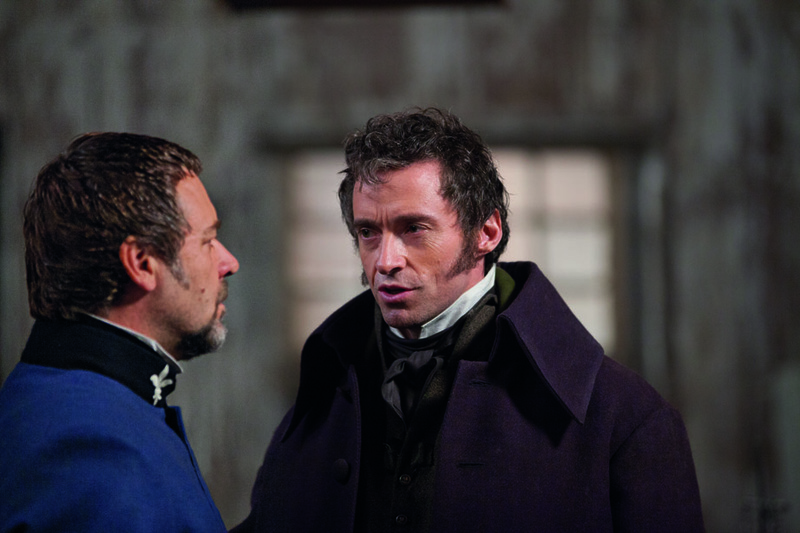 Hugh: Both, playing Jean Valjean you know you spend 25 years of a characters life cast as a prisoner...physically we had the chance to show things on film that you can’t necessarily on stage so we went for it, so everyday was a challenge physically and emotionally... everything was live, Tom would call action, to cut you were driving the ship as the actor, it was the greatest freedom and a great gift that Tom gave us. Russell: The discipline provided in keeping voice and singing shape... you may be singing at 7am or 3am in the morning and you’re singing for the length of the film again which is between 12 – 18 hours. You’re also doing it for Tom Hooper and Tom is one of the greediest filmmakers I’ve ever experienced. 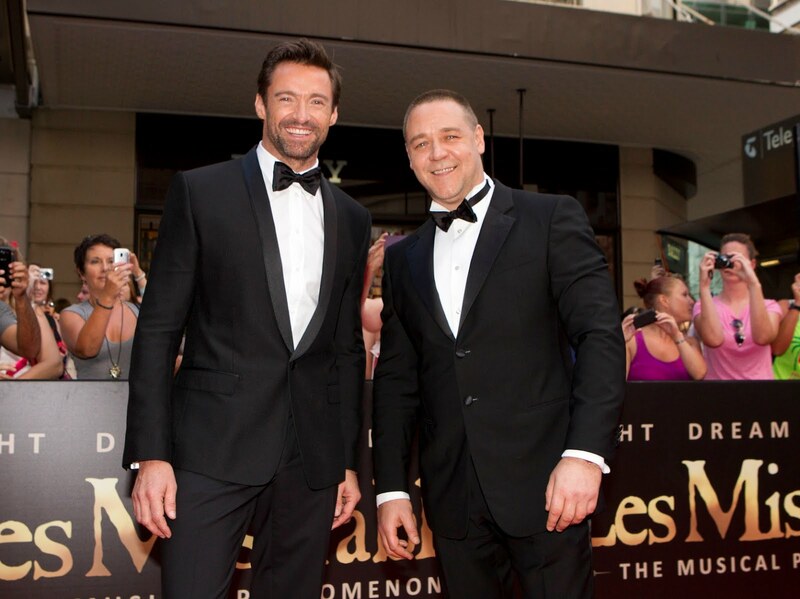 Hugh: He’s actually shooting parts of Les Mis right now, he’s got his phone. He’s tweaking right now. How did you find filming while singing live? Russell: When you act in a movie you don't have to be yourself. You can play a character and can hide behind say an accent, but when you're singing live, you open yourself, you can't hide. Did you ever have a moment when you thought what the heck have I got myself in for? Hugh: I can share one of those moments with you because I got to rehearsal abut 2 days before Russell got there and it was dawning on me what we were doing, we’ve been mates for a long time and I said to Russell I think I’ve bitten off more than I can chew here and he just put his hand on my shoulder and said you’ve got it mate, you’ve got it. He was there for me several times during Les Mis, in fact all the cast we were there for each other. Russell: Think about the set you know everybody who was there had the same level of thought and anxiety. The thing I can tell you about Hugh that used to calm me down, knowing that I was worried about my responsibilities and looking over at him and the grace that he was handling his, if he could handle it and he’s got 10 times the things to do that I have, then I’ll be fine too. Everybody took the same lead off him. The leadership he showed on set, the artistry he showed on set and the grace was just a very impressive thing. 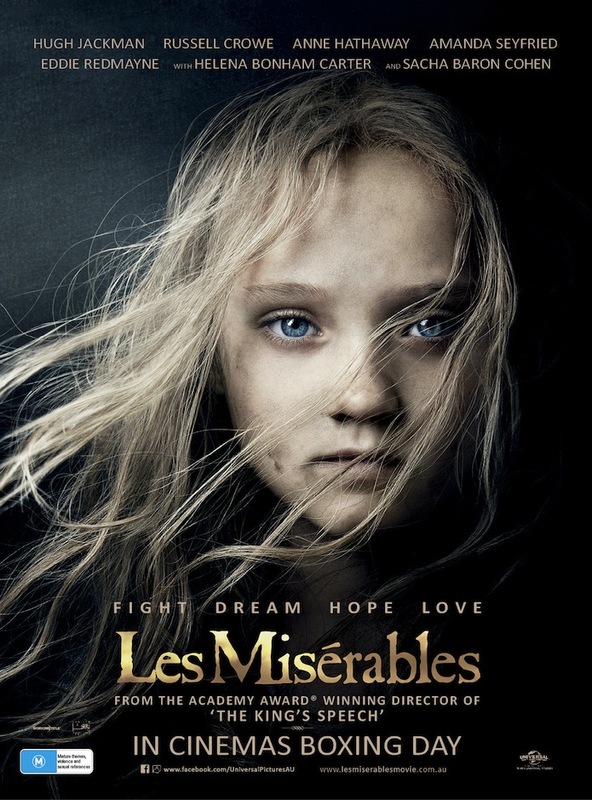 Stay tuned caddies - my interview with Sir Cameron Mackintosh and Tom Hooper is next! Can't wait to see it! Tonight I'm going to see The Hobbit :), I can't wait. I'm dying to see that movie!! definitely one of the must-watch films and I'm glad your post reminded me that fact ;) I'm sure it's going to be amazing on the big screen!